Ok, so I know I bang on about how much I love breakfast. But making this museli for dinner the other night was probably taking it a bit too far. 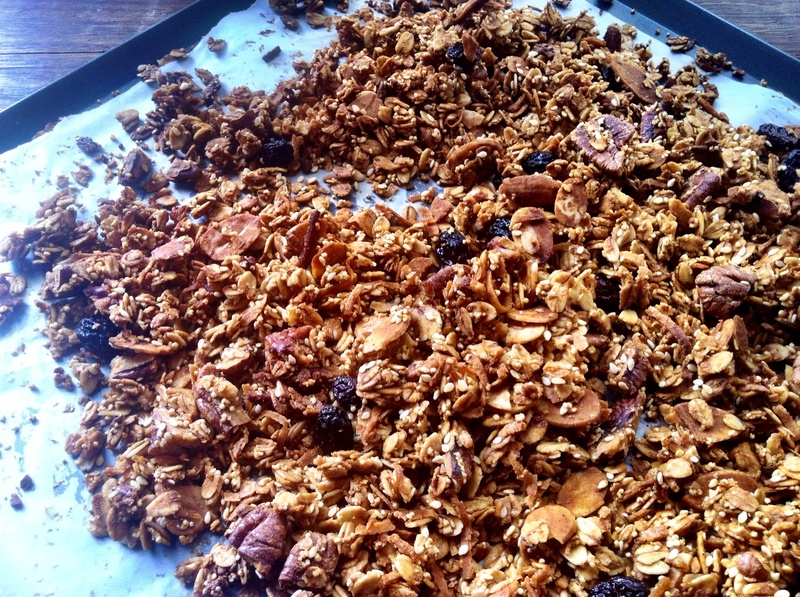 To be honest, I didn’t have anything else to cook and I love a toasted museli and granola, but most are laden with sugar. I make this toasty and warm sugar-free museli, and eat it all the time – just as a snack on it’s own (bad habit) or sprinkled on top of yoghurt or frozen berries when I need an after dinner treat. But I love it with fresh blueberries and milk for breakfast the most. 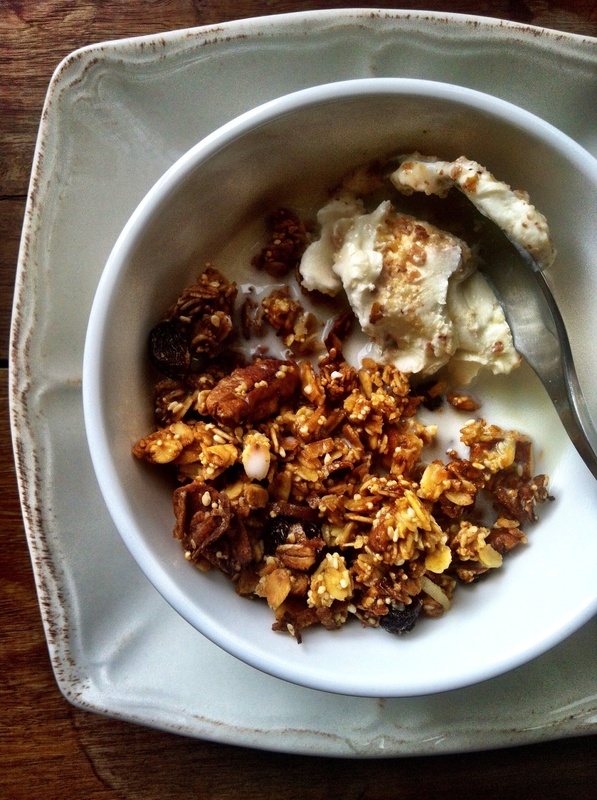 It takes inspiration from Sarah Wilson‘s Coconut granola and Sprouted Kitchen‘s Pumpkin and pecan granola. And I mix it up, depending on what nuts and seeds are in my cupboard, but it always has a base of oats (keep it gluten-free and use gluten-free oats). My sweet secret… is baby food. It’s not really something I have lying around (as I’m yet to own any babies of my own and no, I’m not in the habit of stealing other peoples), but keeping it on hand is not as crazy as it sounds. Those little squeezy pouches of fruit and vegetable purees are a great cooks-cheat – taking the effort out of pureeing your own cooked fruit or veg, and most have no added sugars. I like the sweet potato, carrot and corn variety for my museli, but you could use the fruits like apples and pears for something sweeter. 28 Feb	This entry was published on February 28, 2013 at 9:38 pm. It’s filed under Delicious and healthy!, Lucy's plate, Recipes and tagged Breakfast, Gluten free, Muesli, Oats, Sugar free. Bookmark the permalink. Follow any comments here with the RSS feed for this post.